A couple things I've made. Glen created the topic: A couple things I've made. I call this the 1870's laptop. Diane pays the bills out of this. 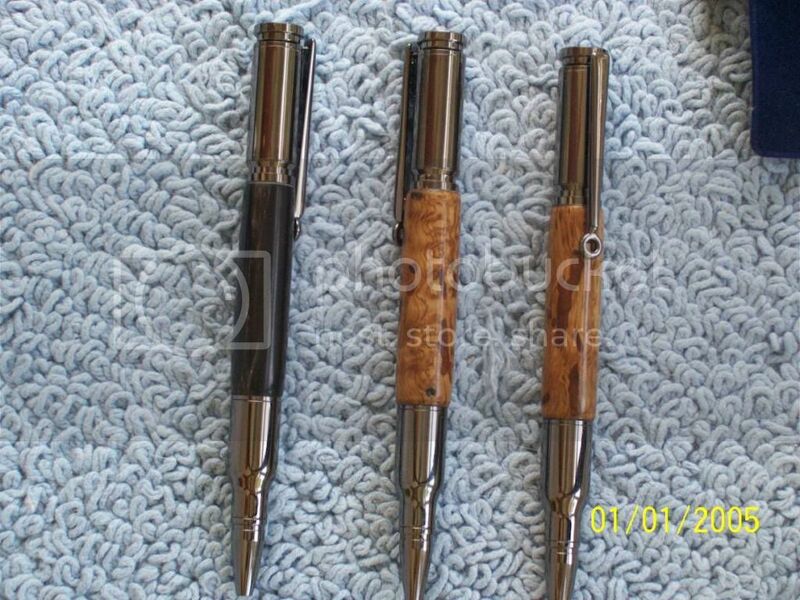 Made from scrap woods of Cherry Pine & Walnut. 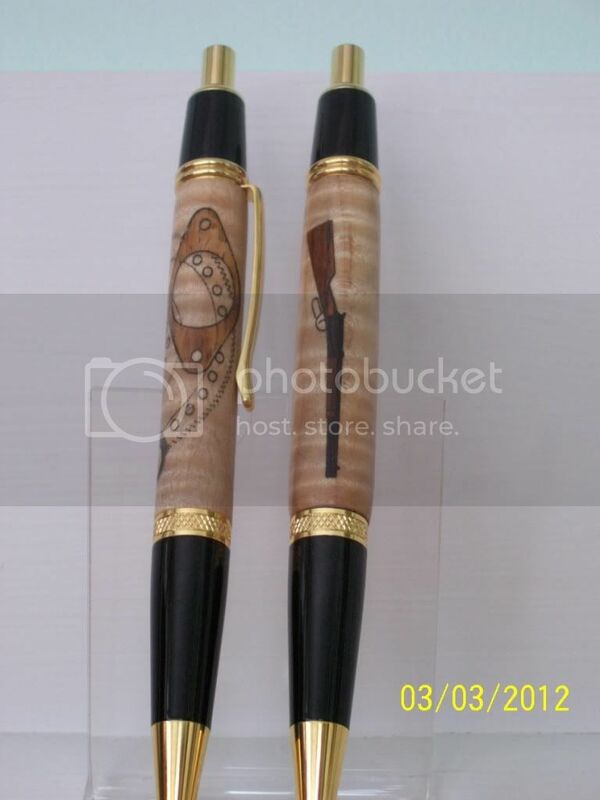 Curly Maple pen/pencil set. 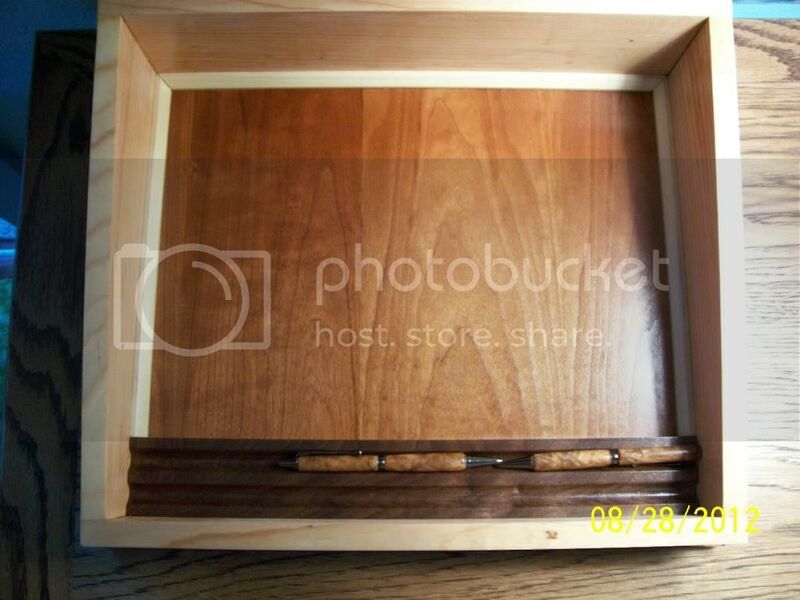 Diane's curly Cherry jewelry box. Derek replied the topic: A couple things I've made. Beautiful work Glen. 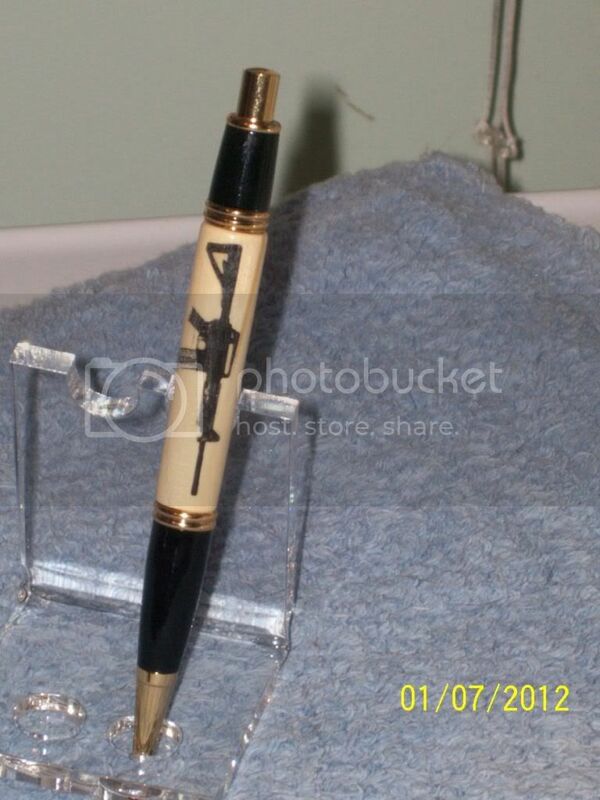 The pens are really cool and something I have never done. Thank you for sharing some of your work with us. colin replied the topic: A couple things I've made. Nice work Glen, appreciate you sharing it with us. Just wondering what finish you put on the jewelery pieces?? Glen replied the topic: A couple things I've made. Thanks Derek-- I've been making pens for quite a while now. They are fun & easy to make for the most part. Some inlay kits can be tough. 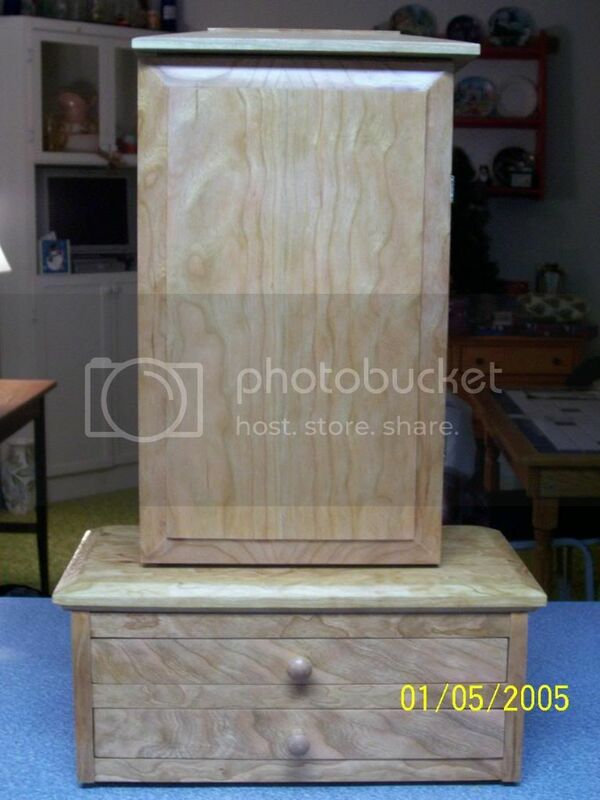 Thanks Colin-- I put Gloss Wipe-on Poly on that particular jewelry box. I also forgot to mentio I made the 2 necklace hangers that are on the inside of the tall case & they rotate. 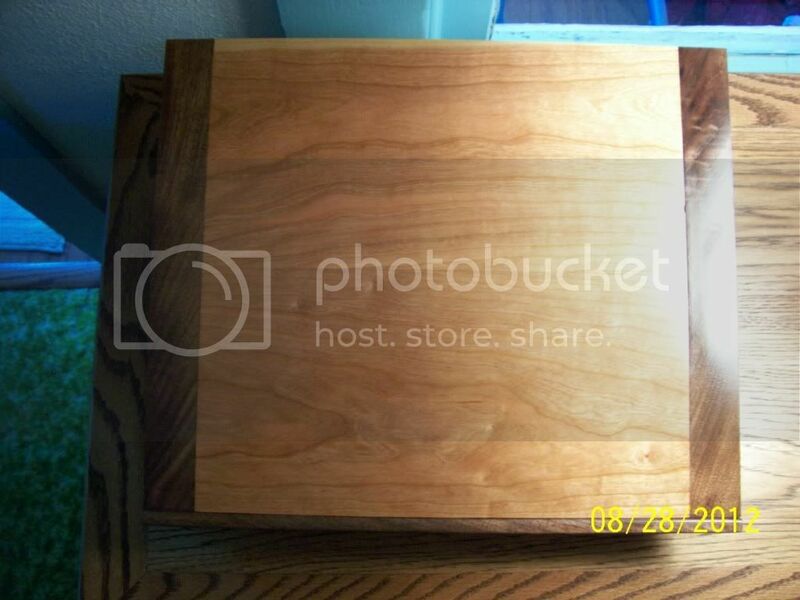 eric422 replied the topic: A couple things I've made. Great job Glen. Love the grain matching on the drawer fronts for the jewelry box.